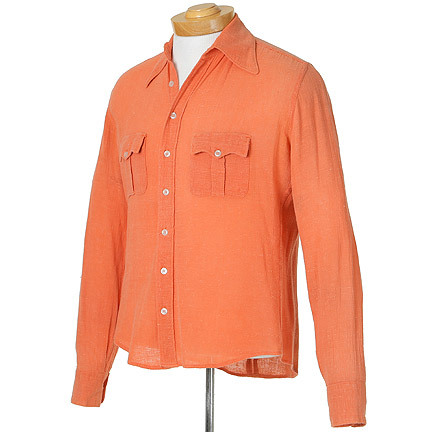 This garment was worn by the character “Doc Sportello” portrayed by actor Joaquin Phoenix in the 2014 film “Inherent Vice”, co-starring Josh Brolin, Owen Wilson and Joanna Newsom. 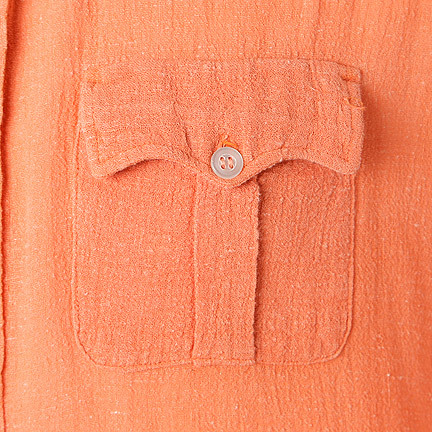 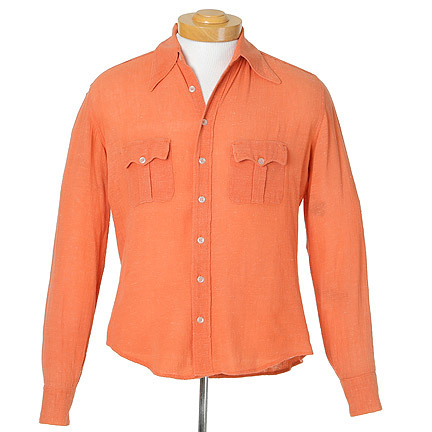 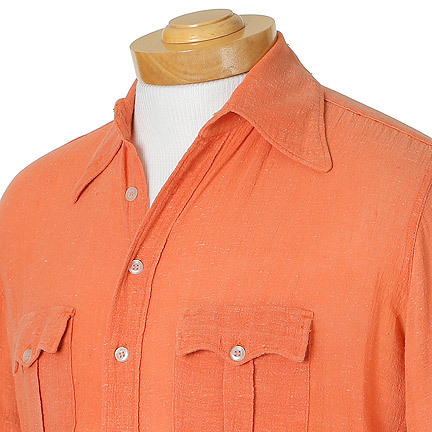 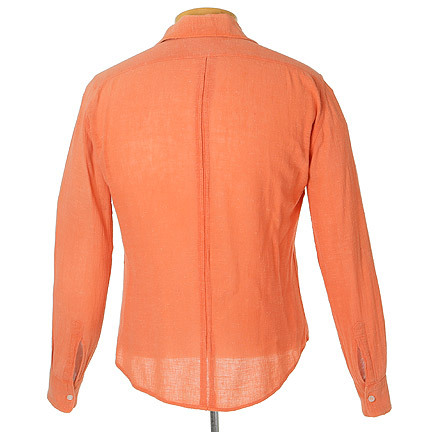 This vintage hand-woven orange button down shirt is 100% cotton made in India. 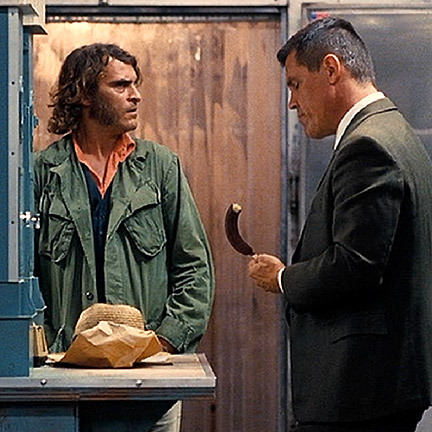 Doc, a hippie private investigator, wears this shirt when he asks for “Bigfoot’s” (Josh Brolin) assistance on his investigation and later when huffing nitrous with the sister of a deceased Nazi biker involved in the case, “Clancy Charlock” (Michelle Sinclair). 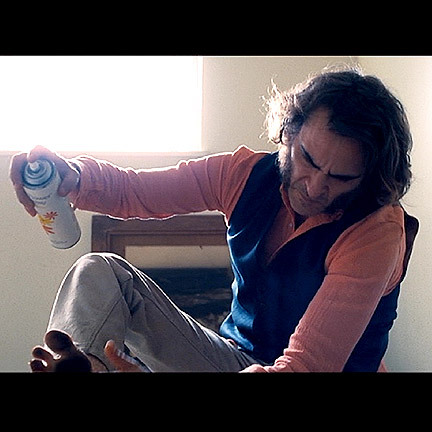 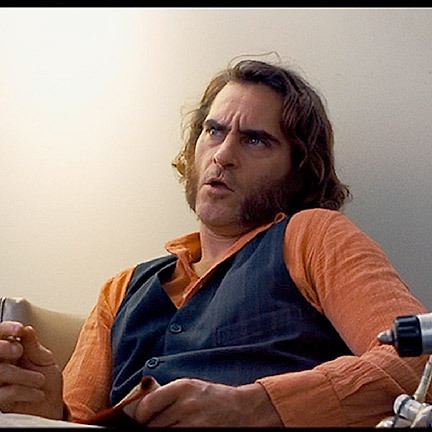 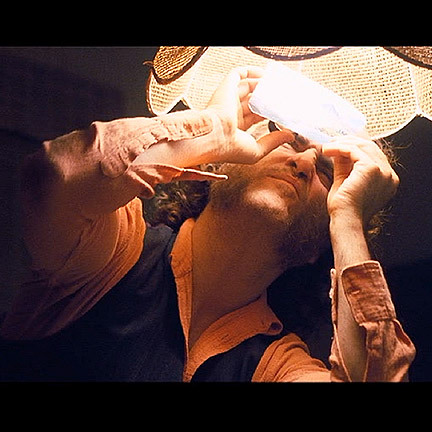 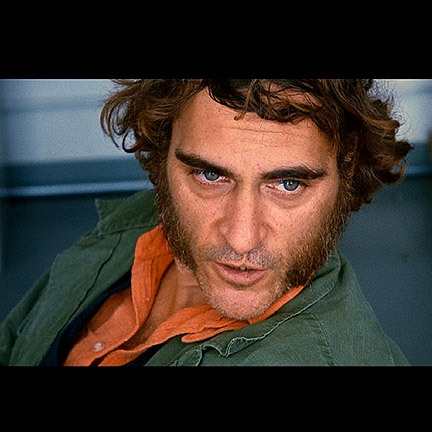 “Inherent Vice” was nominated for an Academy Award for Best Costume Design and Best Adapted Screenplay. 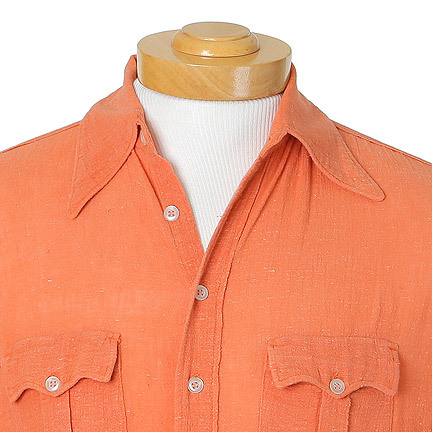 This garment is in distressed screen worn condition and is accompanied by a letter of authenticity from the costume house.